"Ask the Space" is a mobile application built and developed in cooperation with TILT, an architecture and design studio based in Hackney, London, to enhance and support one of the company’s location-based codesign activities. 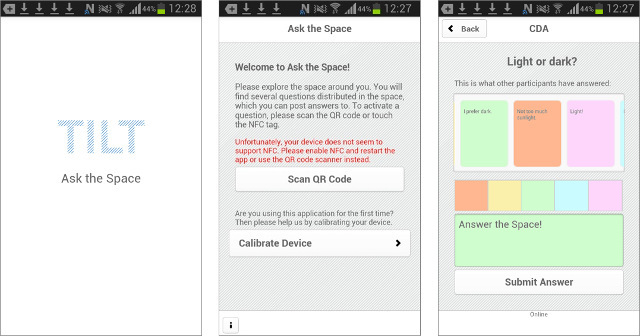 The core concept of "Ask the Space" is the annotation of space. 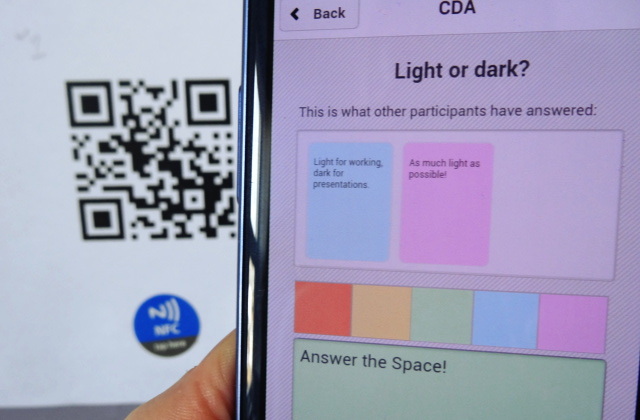 With the help of physical annotation technologies, quick response (QR) codes and near field communication (NFC) tags, the system provides location-based questions about the space to be redesigned and allows the participant to easily collect, share, and contribute answers, ideas and information using the app. At the same time it allows the team to more fully and effectively collect, document, and process the participants’ contributions and to collect additional temporal and spatial activity and user information to further inform the architectural design process.